Preheat the oven to 180°C. Cut each pita in half through the center and then cut in rectangles and place them in a single layer on a sheet pan. Drizzle with olive oil and sprinkle generously with salt. Bake for 10 minutes. 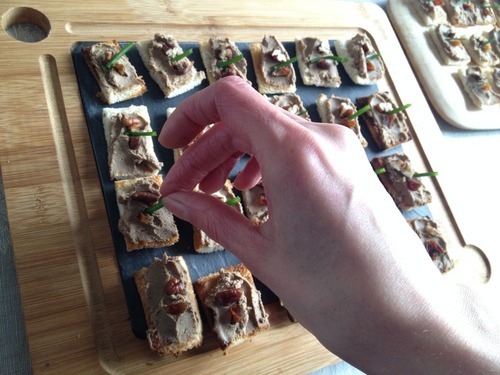 When cooled spread on the pâté and garnish with the chopped dates, pecans and chives.